I had a very interesting conversation with a friend of mine. They love to talk about history, and they love to spend as much time telling you that you don't know what you think you know. They love learning, and, given I know them well enough, they are also willing to admit to defeat — eventually. In this case, they were convinced that Transylvania was a part of Romania since 1870 or even earlier. In fact, it was not; Romania was created in 1859 with the union of the two principalities of Wallachia and Moldavia, and then Transylvania was ceded to Romania in 1919 as a part of the Paris Peace Treaties. The topic was Transylvania and its history with Romania. I will admit that I might have some knowledge about the area and its history, in particular the Northern area of Transylvania, because that is where my family has its roots. Many of my relatives have been back to visit, and they always come home with interesting stories of the villages that they left behind. My point is that, as much as technology has changed the way we look at things and do things here, not much has changed there. Transylvania seems to be stuck in a time warp. The major cities are fully in the 21st Century, but in the villages outside of the main areas, the internet and other devices that "make our lives easier" are hardly found. A good indicator of that is found in many books where pictures show that life has not changed much since many of the Saxons of Transylvania left in the last 1940s and early 1950s. Keeping this in mind, has Transylvania changed at all? Yes, it has. 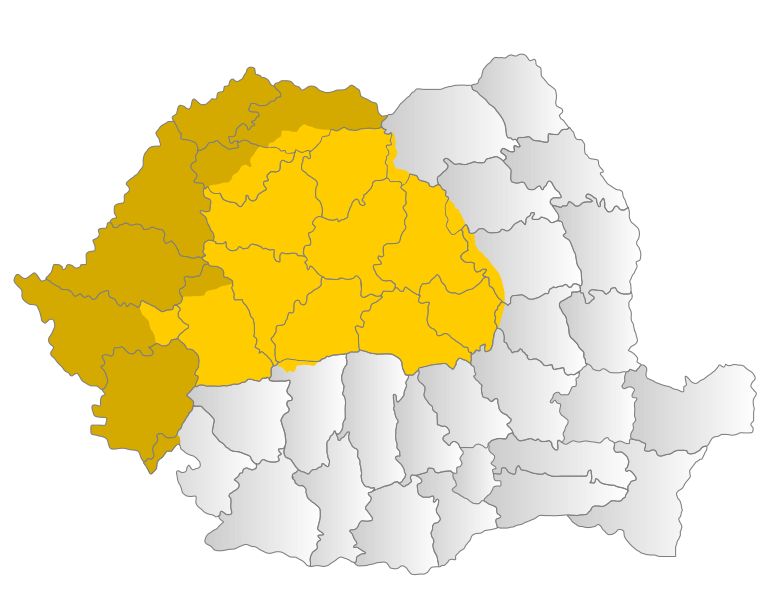 Much of the area is modernized, and much of the Romanian GDP comes from Transylvania and the Banat region (indicated by the darker yellow area of the map above, however, many people do consider it a part of "Transylvania"), and you will find a drive to improve the lives of the people there. Tourism is a money maker, and people are cashing in on the myths celebrated by the North American tourist. What most people do not know is that part of the reason why many of the old castles are not being destroyed or are currently being restored (an exception being Elizabeth Batory's castle, which is in a national park, and is also the former residence of a killer) is that these castles are protected by UNESCO, or they earn income for the area. Not only does Bran Castle provide employment to many people in Transylvania, it improves the chances of Romania becoming a strong player in Europe. 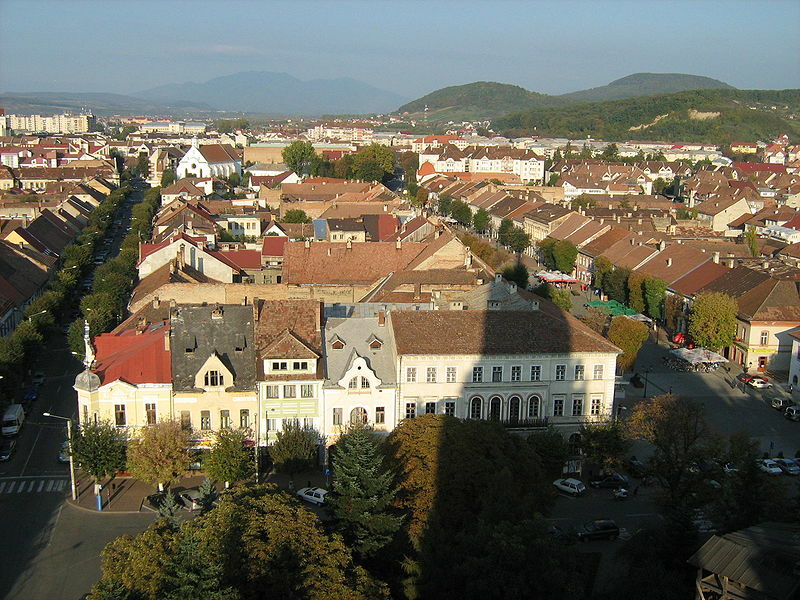 Many people don't know, or don't understand is that Transylvania, politically and culturally, is in constant flux. It always has been and the land has changed hands many times in the past 100 years, between Hungary and Romania, and to some ultra-nationalists (on both sides) this causes quite the problem. If you don't know this, you might think there is a huge tension in that area, but what it means is that it is a part of the culture of Romanians and Hungarians who live there. When it comes to Transylvania small facts in what you know and don't know make a huge difference.